Welcome to the season allergy sufferers love to hate. In fact, 36 million people have allergies. According to the Natural Resources Defense Council, Chicago is the 6th worse city in the country for this annoying spring malady. If you are a parent of a toddler, you may be wondering whether they have allergies. Conventional wisdom used to be that children under the age of two couldn’t develop allergies because their immune systems were too immature. But that no longer appears to be the case. Now they can be seen when your child is around one year old. If you are starting to see symptoms, experts recommend you begin keeping a journal. Track specific symptoms and when and what triggered them. This is the kind of information that your pediatrician will be looking for as they consider a diagnosis. Dr Amishi Murthy of the Illinois Allergy and Asthma Specialists says allergy season is typically spring and fall, but can be year round. 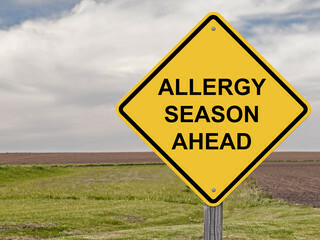 Tree, grass and mold pollens are more prevalent in spring. While ragweed, mold and dust mites are seen more in the fall. Best advice before medicating a small child: consult your pediatrician to see what they advise as the best course of treatment.